SPAZEboard6 are an alternative firmware version for Little deFormer 3, that is combined with an analog filterboard, that has 6 analog filter chains, with each 2 analog filters (HPF + LPF), for a total of 12 analog filters. The analog filters are available in part 1 to 6. Since this firmware version turns your LD3 into a completely different instrument, with a different sound structure, the presets that are previously held in your LD3, can't be loaded, if you turn it into a Spazeboard6 LD3. It can though import PolySpaze presets, with 80% compability. This firmware will run on your LD3, without the analog board installed. You will though (obviously) then miss the analog filters. When running this firmware on an LD3, without the Spazeboard6 installed, all analog fúnctions will be locked. This is done in order to protect the un-modified LD3 hardware. Further details can be found in the Spazeboard6 user manual, under "Installing Spazeboard6". -6 monophonic parts with 2 oscillators (1 can play back samples), ring modulator, 2 analog filters (HPF+LPF), 1 digital filter, 2 insert effects, 1 VCA, 3 envelopes and 4 random generators. -2 monophonic parts with 1 oscillator (can play back samples), 1 digital filter, 1 VCA, 3 envelopes and 4 random generators. -8 parts for controlling external MIDI gear. -16 global LFO's and 8 global LFO-trigged random generators. 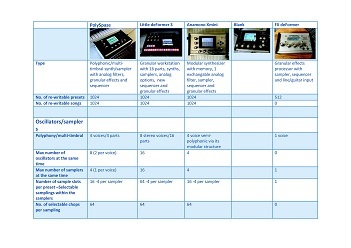 The sequencer comes with 16 advanced note tracks and 32 controller/CC tracks. 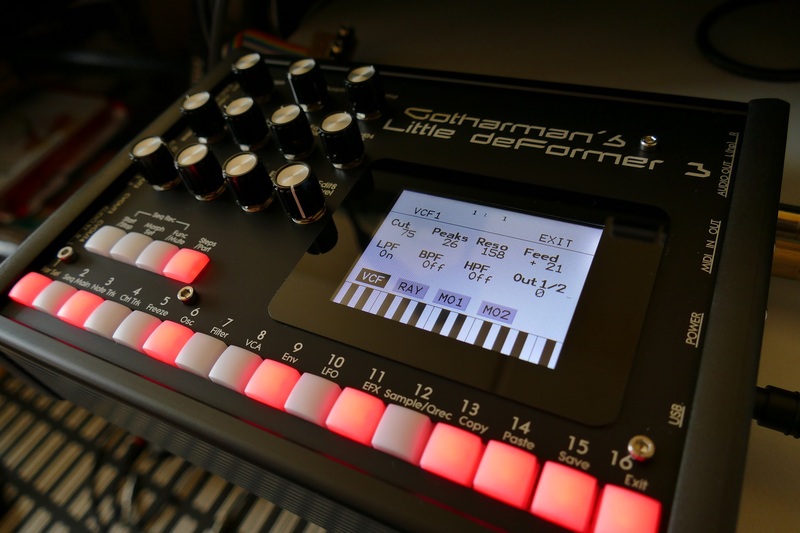 For each note on the note tracks, it is possible to set note, gate time, velocity and even position of the step, which allows for polyphonic step sequencing and rhythmic experiments. At the output of each note track, a scale function are applied, that can force all notes into harmonic scales, or switch notes around for musical deforming. The note track can be up to 64 steps long, and resolution can be set between 1/64 and 1/2. The controller tracks can be up to 128 steps long, and their resolution can also be set between 1/64 and 1/2. They appear as modulation source for all parameters, that can be modulated. 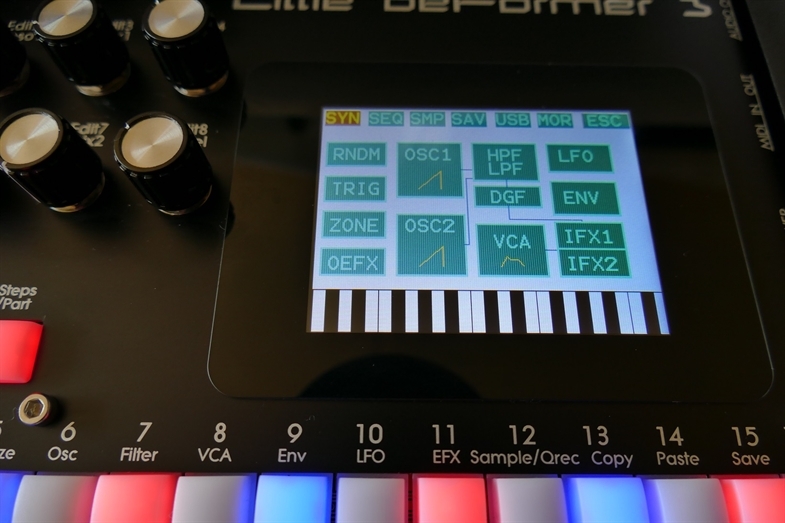 The sequencer can control both the internal parts of LD3 and external MIDI gear. Templates are available to create a startpoint for a sequence and to modify existing sequences. 16 track audio track recording is also possible with the LD3 sequencer. Each audio track can be automatically chopped, for easy deforming.